A terrifying gang targeted four businesses during a protection and blackmail racket that extorted thousands of pounds from victims. Nottingham Crown Court heard during on-going proceedings how brothers David, John and Luke Lowther got their claws into businesses as they extorted money and threatened victims with support from accomplices. Mr Langdale added when witnesses complained the gang attempted to intimidate them to retract allegations. The gang’s victims included Steven and Paul Horobin, of a Brassington and Ilkeston haulage and concrete business, Garry Longdon, of Heanor Mini Skips, Gregory Dukes, who started a haulage company in Wirksworth and operated a truck repair firm, and Richard Morley, who worked with machinery in Amber Valley. David, John and Luke Lowther demanded £29,500 from the Horobins after they targeted them with demands for money with intimidation, threats of violence and damage to property, according to Mr Langdale. David and Luke Lowther extorted money from Garry Longdon, according to Mr Langdale, and Luke Lowther assaulted him and accused him of bad mouthing the Lowthers and he threatened to burn his house down. Mr Longdon went to police but he was initially persuaded to withdraw his statement. David and John Lowther also forced Gregory Dukes to pay £15,000 to one of their associates and said if he did not pay they would take his vehicles. Mr Langdale said the Lowthers asked Mr Dukes to repair lorries before David and John Lowther went to his yard in Ripley and both struck a mechanic and they took vehicles and demanded £10,000 for their return. John and Luke Lowther also admitted conspiring to make demands that Richard Morley would not trade in Amber Valley after setting up a business. The court heard how Mr Morley was intimidated by David and Luke Lowther. Luke Lowther was finally arrested after he threatened to put through a pub’s windows after he had been banned from the Bull and Butcher. Police also arrested John Lowther but David Lowther could not be found because he was in Gran Canaria. He evaded police as he allegedly liaised with Russell Greenhalgh during calls and travelled across Europe before returning to the UK via Dublin. The court heard how a vehicle and a caravan were delivered for David Lowther before he returned to the UK. 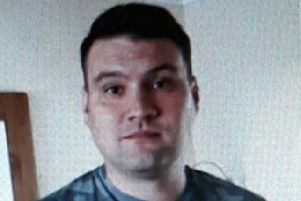 David Lowther, 35, of Cedar Road, Forest Fields, Nottingham, admitted three counts of conspiracy to blackmail, three counts of perverting the course of justice, two counts of intimidation, one count of conspiring to pervert the course of justice and conspiring to conceal criminal cash. John Lowther, 39, of Middle Crescent, Aspley, Nottingham, admitted three counts of conspiring to blackmail, conspiring to pervert the course of justice and conspiring to conceal criminal cash. Luke Lowther, 33, of Thames Street, Bulwell, Nottingham, admitted three counts of conspiring to blackmail, driving while disqualified, intimidation, threatening to damage property and perverting the course of justice. Paul Knight, 46, of Berle Avenue, Heanor, admitted conspiring to blackmail. Ryan Colson, 33, of Westfield Avenue, Heanor, pleaded guilty to conspiring to blackmail and conspiring to conceal criminal property namely cash. Caroline McDonagh, 42, of Colston Road, Bulwell, Nottingham, Louise Lowther, 40, of Gladys Street, Nottingham, and Julie Lowther, 42, of Gladys Street, Nottingham, admitted perverting the course of justice. Greenhalgh, 49, of Minver Crescent, Nottingham, denies conspiring to pervert the course of justice and is subject to an on-going trial. The offences happened between January, 2009, and June, 2016. Those convicted are to be sentenced next month.